The Wrong High-Efficiency Air Filter Might Spell Disaster for Your HVAC System! Almost any modern home can benefit from air cleaners of some type. Indoor air quality is often poor because homes are built today to seal out the heat in summer and seal it in during winter—and that means not much fresh air circulation. …except when the wrong type of filter goes in. When it comes to high-efficiency filters, such as the HEPA filter, you can have too much of a good thing. Too strong a filter can damage your HVAC system. Posted in Indoor Air Quality | Comments Off on The Wrong High-Efficiency Air Filter Might Spell Disaster for Your HVAC System! Now that it’s May, we’re deep into the allergy season. This time of year can be miserable for people who suffer from pollen and grass allergies, leading to the dreaded “hay fever.” Even for people who don’t have specific allergies like these, the high pollen count in the air can add an extra level of irritation to the day from an itchy nose to mild headaches. You don’t have to suffer during allergy season. 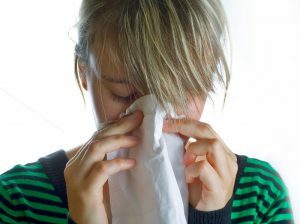 There are ways to reduce the problem, and we’ve recently looked at how installation of indoor air quality products in your home can make a big difference in how allergy season affects people in your household. Talk to our professionals to find out more about our indoor air quality services in Fresno, CA and throughout the Central Valley. We’ll find a solution for you! The early spring brings with it warmer weather. But it also brings with it allergy season. Bad allergic reactions to pollen, mold, and other pollutants floating in the air can turn a pleasant spring into an extremely unpleasant one—even for people who don’t normally suffer from allergic reactions. You can take steps to alleviate allergy problems during the spring with various medications. But taking a whole-house approach with the help of our indoor air quality professionals cuts to the source of the problem, making life easier for everyone in your household. IAQ installations such as air purifiers, air cleaners, UV germicidal lights, and whole-house dehumidifiers can change a sniffly and wheezing allergy season into a healthy and enjoyable spring. Talk to our staff today to learn about the many options available for lowering the amount of allergens circulating through your house. Which Is Better: Electronic Air Cleaners or Air Filters? This is the type of question that you’ll be asking if you’re considering improving the air quality in your house. We think this is an excellent idea: almost any home can benefit from indoor air quality installations to remove airborne pollutants. But the question of “electronic air cleaners/purifiers vs. air filters” is actually a deceptive one. This isn’t a situation where it’s either one or the other. You can have both. And in many cases, both is the best choice! We’ll explain below. Posted in Indoor Air Quality | Comments Off on Which Is Better: Electronic Air Cleaners or Air Filters? Because of concerns about air pollution from industrial sources, people often tend to think of poor air quality as something that only exists outdoors. But this isn’t true. A report by the Environmental Protection Agency has discovered that the air inside commercial and residential buildings is often three to four times worse than the air outside. The reason for this is the high number of contaminants and pollutants that become trapped inside a building because there is so little fresh air moving through them. 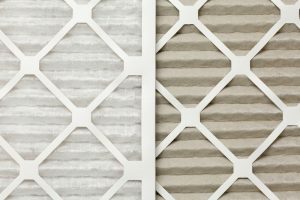 What Kind of Air Filter Do I Need to Clean My Home’s Air? If your home has a forced-air heater or central air conditioning system, then it is probably equipped with a filter located near the air handler. 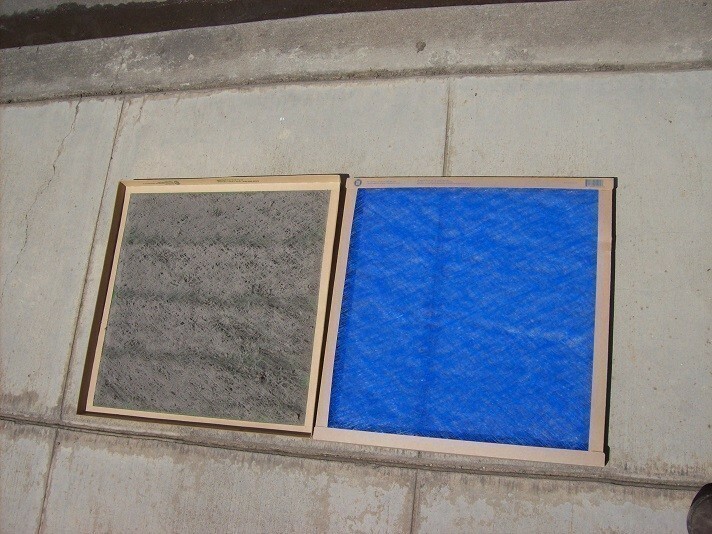 This filter consists of a mesh of fibers that traps contaminants coming in through the return air ducts, preventing them from entering the AC’s cabinet. This filter is designed to protect your air conditioner, which is an important job. But it is not designed to protect the quality of the air circulating through your house. If your home is suffering from an excessive amount of airborne pollutants that are triggering asthma and allergy symptoms among the people who live there, you need to have special filters or air purifiers installed. 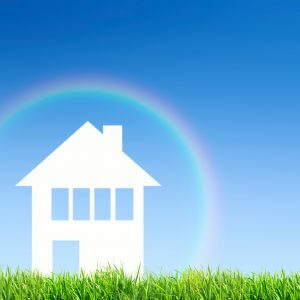 Posted in Indoor Air Quality | Comments Off on What Kind of Air Filter Do I Need to Clean My Home’s Air? Replacing the air filters regularly in your home or business is a must. A clogged air filter can cause trouble with your HVAC system. It can cause additional stress to your heating and cooling equipment that can lead to costly breakdowns or even equipment failure. This can lower the indoor air quality of the air you breathe. The air filters need to be changed on a regular basis or it can block and restrict air flow through your ductwork and HVAC system. 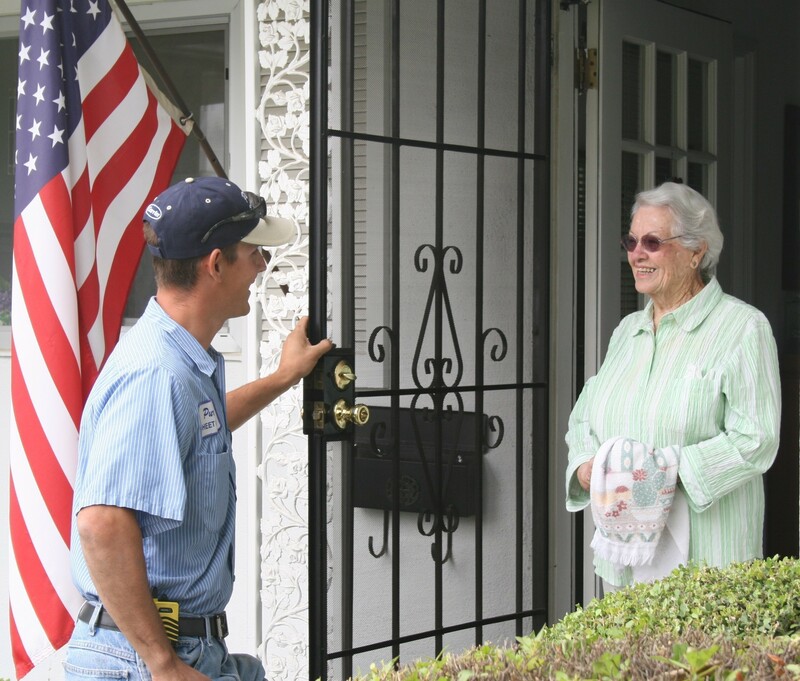 Your AC system is designed to remove heat from your home or business. The fan pulls the warm air and passes it over evaporative coils. The fan pushes the newly generated cool air through the ductwork system to cool your home or business. 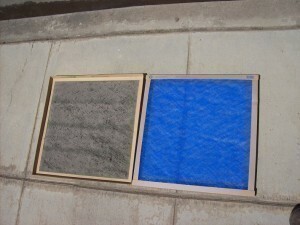 When the filter is clogged it reduces the airflow into the system and can cause many problems. It can reduce the cooling capacity and in turn reduce the comfort level. It can even cause the coils to ice up and the system to struggle and make noises. During the hot summers in Fresno CA, you want to make sure your equipment is working to capacity. Poor operation can reduce the efficiency and lifespan of your equipment not to mention your comfort level. Operating your heater with a clogged filter can be very dangerous. A clogged filter does not allow enough cold air to pass over the heat exchanger and can cause the heat exchanger to crack. When a heat exchanger cracks it can be dangerous. It can leak carbon monoxide into your home or business. Just like your car, your home’s heating and air conditioning system needs regular maintenance and service to keep it running properly. Check your operation manual for the suggested filter changing requirements. 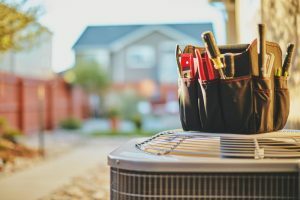 The best way to extend the life of your equipment is to have your HVAC system serviced, cleaned and inspected on a regular basis by a licensed professional. 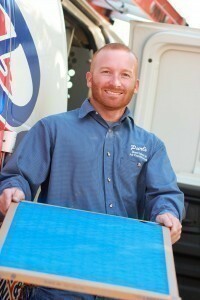 During routine service your technician will replace the air filters and clean the components of your HVAC Air Filter. At Purl’s Sheet Metal & Air Conditioning our service technicians can service your HVAC system, change your filters and help you maintain efficient operations.